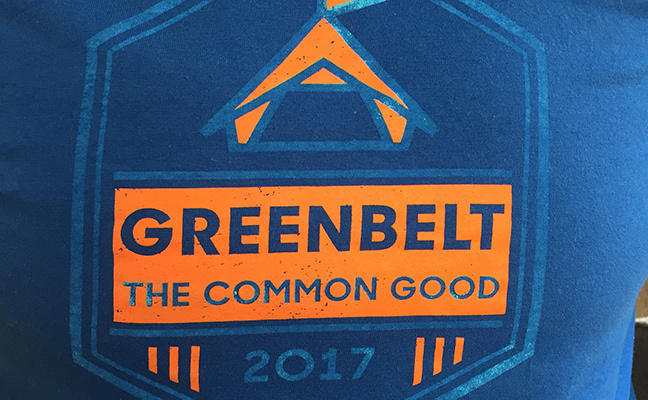 When we heard that some of our lovely Greenbelt ’17 t-shirts lost their print in the wash, we cried. But then we picked up the phone, told the t-shirt printer, and they offered to print new t-shirts for anyone whose shirt was affected. Hurray! Did your shirt go a little funny in the wash? Did it lose its lovely print? Don’t fear – help is at hand. Take a picture of you wearing the t-shirt. Send the picture to gstore@greenbelt.org.uk. Make the subject of the email ‘T-shirt replacement’. Include your address and t-shirt size.